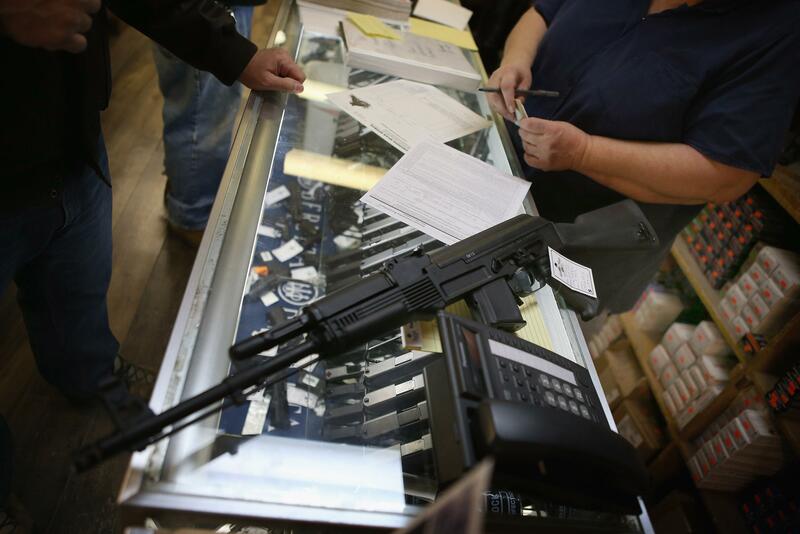 Russian Kalashnikov AK-47 rifles to be made in U.S.
Sanctions Stopped Imports of Russian AK-47s, So This Company’s Making Them in the U.S.
A customer purchases an AK-47 rifle for about $1200 at an Illinois sporting goods store in 2012. Recent sanctions on Russia have put trade ties with the U.S. in a deep freeze. The two countries’ robust trade in Kalashnikovs—or AK-47s—has also taken a hit. The American company RWC, you see, had to halt its imports of the assault rife and cut off contact with their Russian manufacturer.